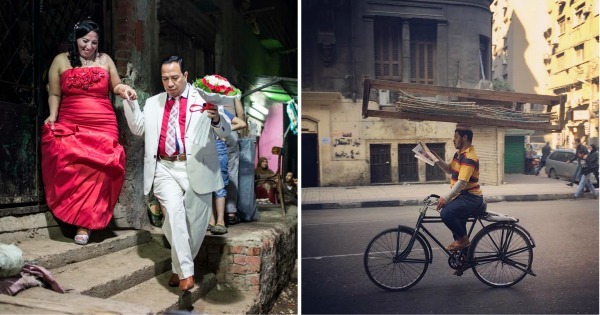 Some of the best pictures from the popular Everyday Egypt Instagram page are going on display this month at a new exhibition in Maadi. 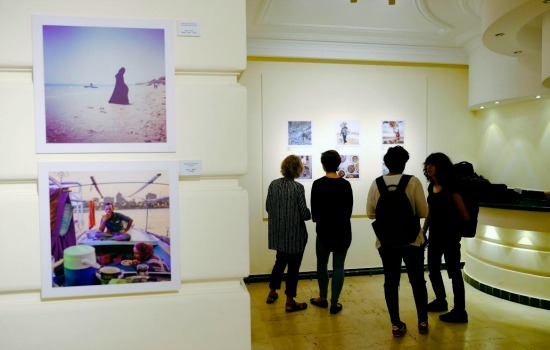 The first exhibition organised by the social media project opened on Sunday, and will continue until 15 May, at the Beit El-Sura photography centre in Street 15. As the exhibition name indicates, on display are shots that capture ordinary life around the country, taken by cameras and mobile phones. The subjects of the photos are wide-ranging: dishes from popular restaurants, fishermen, children playing in the street, people crossing roads, an engagement in a working-class area, guards at a temple in Luxor, young workers at a marble workshop, a man fixing the satellite dish on the roof of his house, four young boys on a motorcycle, and a bread-seller on a bicycle holding his tray of bread in one hand and reading the newspaper in the other. Most of the images are from Cairo or Alexandria, but there are also entries from Sohag, Luxor, Sinai, Minya, Ismailiya, Beni Suef and Mansoura. "Everyday Egypt reveals the stories, habits, traditions, rituals, streets, and different patterns of Egyptian society, in a different way than the news does it. They are all the scenes that we would not find anywhere else. This is daily life,” said Roger Anis, an Egyptian photographer who is now in charge of the Everyday Egypt project. 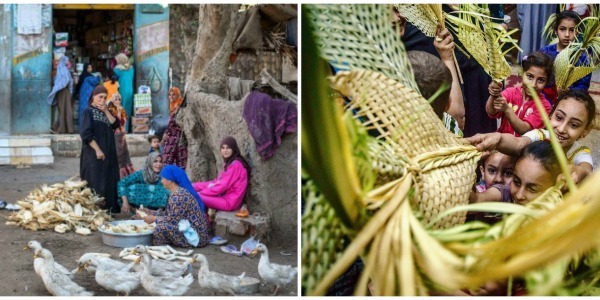 The photos come from the Everyday Egypt project, which has around 95,000 followers on Instagram and 350,000 on Facebook. "We have been thinking of making our first exhibition for a year and a half, but we lacked finance, and once it was available we started," added Anis. "We were three people responsible for choosing 35 photos for the exhibition,” he said, adding that the number of submissions was 1,600. The project launched on June 8, 2014 when President El-Sisi was inaugurated. “All international eyes were on Egypt again, but only on the political aspect. We felt we also needed to show the everyday," Tinne Van Loon, the founder of Everyday Egypt, told Ahram Online by email. The Belgian-American documentary photographer had always wanted to work in the Middle East. Her research for stories took her to the West Bank in Palestine, and then, in January 2013, to Egypt where she wanted to study Arabic and to work as a freelance documentary photographer and filmmaker. "I fell so in love with life in Egypt,” she comments, adding that she spent four years managing the Instagram project before moving to the USA two months ago. "When I first started photographing Egypt, I was very conscious of the fact that what I document could easily inform Western people's impression of Egypt and the Arab world. I thought that apart of documenting serious issues such as sexual harassment and FGM, there were also many good aspects of the country. I wondered how to capture that. That's what motivated me to start Everyday Egypt, to show foreigners that life in Egypt is also fun, but it can also be familiar and even boring," Van Loon added. She started reaching out to fellow photographers, both Egyptian and foreign, and invited them to join the project. The main concept was to capture Egypt as it is, without glamorising the country like tourism campaigns do. That was when Anis stepped in. "I was also thinking of taking mobile photos of the daily life in the streets, so when Tinne talked to me about her project, I got excited right away," Anis added. "We had just finished 2013, when restrictions on media increased, and no street events to be pictured. It was even hard to take photos in the streets. As a street photojournalist, I was wondering what is left to do. Everyday life seemed to be the perfect answer." The project grew quickly and now has 22 photographers, both local and foreign, regularly uploading their pictures. Every Friday, the photographers in charge of the page go through all photos with the hashtag #EverydayEgypt, choose the best ones and republish them on the Everyday Egypt Instagram account. The platform’s growing local popularity has also inspired many local offshoots: Cairo, Ismailiya, Beni Suef, Port Said, Fayoum all have their own pages, and the Everyday Cairo Instagram group organised their own exhibition in 2015. Everyday Egypt is not an initiative born in Egypt; it was inspired by similar projects that aimed to shed light on misrepresented parts of the world. Before Van Loon launched her project, she was already a fan of Everyday Africa – the first of the Everyday projects– and Everyday Middle East, both of whom she asked for advice before launching Everyday Egypt. Everyday Africa was initiated by Austin Merrill and Peter DiCampo, an American photographer and photojournalist currently based in Kenya. His previous travels include Ghana, a country which he explored in 2006 and was his first motivation to the continent. "In 2012 I went with my colleague Austin Merrill to the Ivory Coast, where we were covering the aftermath of the civil war. 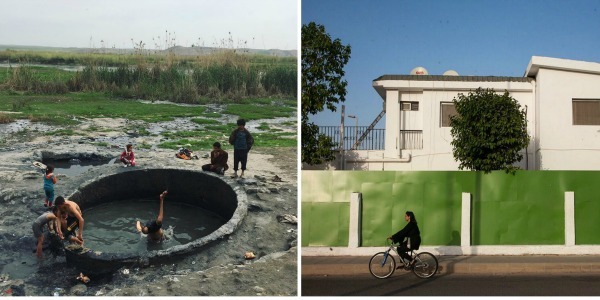 We felt stuck telling the same stories, the extreme ones about war, despite the fact that most of the country was normal, so we decided to tour the country and document the daily life with our phones, and invited other photographers to contribute, and we established the Instagram account," DiCampo told Ahram Online via Skype. "There are many news stereotypes about Africa, with images depicting it as poor, miserable, and in need of help. But those are extremes and the stories are incomplete, since they always lack the everyday life context. I felt I had a mission to tell the truth, to complete the story about Africa, the continent that became a second home to me," DiCampo added. Everyday Africa includes pictures from all over the continent, including North African countries like Egypt, taken by both local and foreign photographers, and has 300,000 followers on Instagram. DiCampo said he was surprised at the impact his simple idea had had on others, with Everyday pages now springing up around the globe. 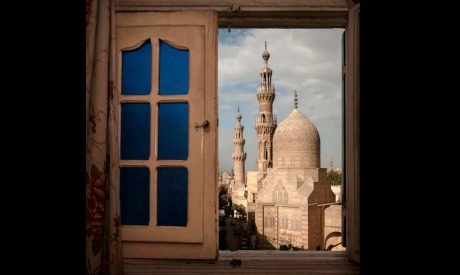 One of those offshoots was Everyday Middle East, which was founded before Everyday Egypt, in March 2014, by Lindsay Mackenzie, a Canadian photographer who has spent much of the last decade in and out of the Middle East. She first worked as tour leader in Egypt and Jordan, then as a freelance photojournalist in Tunisia, Algeria, and Yemen, and now she holds a communications post with the UN in Iraq. 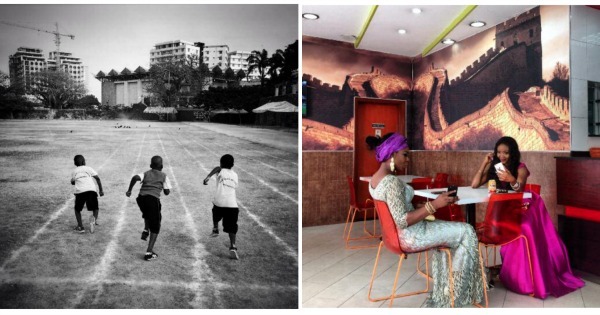 "When I was living in Tunisia in 2012, I came across Everyday Africa in an article online. I reached out to Peter DiCampo and started contributing photos to Everyday Africa from Tunisia and Algeria," Mackenzie told Ahram Online. A photo editor from Esquire, Elizabeth Griffin, put it well. Mackenzie quoting her saying that "in places like the US, the visual exposure to non-Western European nations has often been delivered in the form of very distinct, very dramatic, very foreign, and sometimes incomprehensible images. And while they are important photos in their own right, they tell a specific story – and not one that captures a country or a region as a whole." Everyday Middle East now has 23 photographers, both foreign and local, contributing to the project from all around the Middle East and North Africa, and over 148,000 followers on Instagram. The project has also spread further; like-minded platforms have sprung up across the world, in Japan, India, Iran, Afghanistan, Pakistan, many Arab countries, the USA, and in Europe and Latin America. In 2014 some of the different Everyday projects began to coordinate with a joint exhibition in Brooklyn in New York. They then repeated those exhibitions twice in different countries, and there is now an account on Instagram called Everyday Everywhere, which selects the best from the different pages. Individual projects are also planning to develop and expand their work. DiCampo is interested in expanding, as they are currently registered as a non-profit organisation in the US. He is now getting ready for the second launch of the team’s first book, which will be in Nairobi this month. Everyday Africa: 30 Photographers Re-Picturing a Continent features a selection of images from Everyday Africa that “find beauty in stories rarely seen,” according to the authors. The team has also organised workshops for school pupils in the US and in Kenya. 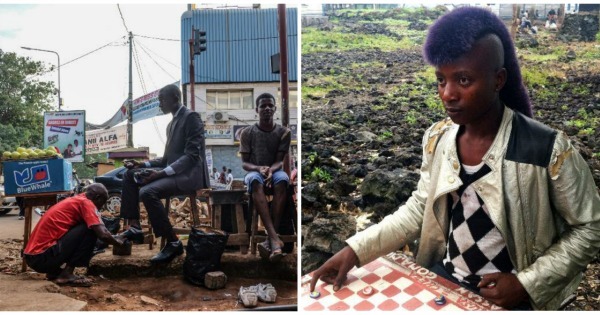 "We ask them what comes to their mind when thinking about Africa, and when they answer us with the stereotypes of the news, we show them the Everyday Africa photos, and then help them to start their own projects documenting their everyday life," DiCampo said. Anis and the Everyday Egypt group, who will take their current exhibition to Alexandria, are also planning to expand their coverage outside Cairo and Alexandria, and to organise photography workshops using the profits of their first exhibition. For him the Everyday projects are expanding the idea of street photography, and providing new images of countries he has not visited. "My idea changed about Iran for instance; as a country I'm not allowed to enter, I thought it was very strict, but through their account I saw landscapes, people, young Iranians, and a night life that I never imagined existed," Anis said. "Everyday Egypt receives ongoing feedback, especially from foreigners who used to live here, wishing that they had been to the places we are posting photos of," he added. Van Loon believes that the Everyday projects have shown that everyday life can be just as valuable and interesting to photograph as exceptional historical events. "Perhaps you can even say that daily life is more important to document, as it happens every day and truly defines the lives we live," she said, adding that the Everyday projects have also shown that mobile photography is "real" photography. For her, there are multiple professional photographers who mainly use a camera phone to create their work. It's not the tools that create the professional, it's the vision and skill that set professionals apart from the rest. For her part, Mackenzie thinks that projects like these that connect people are critical. "I think one of the most valuable aspects of the feed is that many of the photographers who contribute to Everyday Middle East will answer questions that people from all over the world post in the comments. You can see by following those conversations that our followers are learning something new, or are surprised by the commonalities that come through in some of the images," she added. Mackenzie also believes that having the material of everyday projects feed into classrooms, as a result of all the work that Peter DiCampo and Austin Merrill at Everyday Africa have done, is "a great way to reach young people so that the next generation is more media-literate and more open minded." All photos are published with the permission of the interviewees from the Everyday projects.